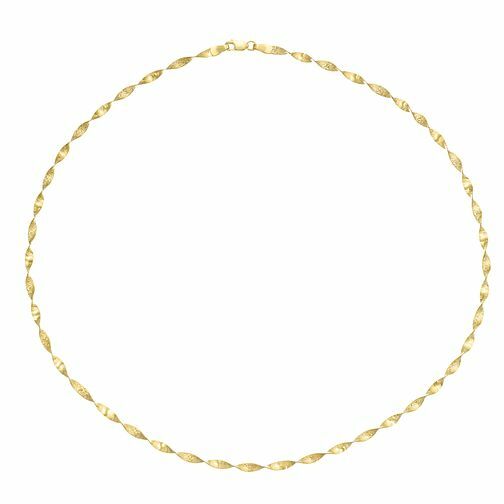 A understated yet stylish 9ct Yellow Gold Twist Necklace. Combining classic with contemporary, this simple yet stylish accessory presents an attractive twist design. A fashionable flair, ideal for casual wear. 9ct Yellow Gold Twist Necklace is rated 3.0 out of 5 by 2. Rated 1 out of 5 by Anonymous from Broke 3rd time wore it For the price it's very cheap and flimsy broke 3rd time I put it on and pulls/catches hair! !